220 VOLTS ONLY FOR OVERSEAS USE, WILL NOT WORK IN THE USA. NEW model includes extra accessories and offers new exotic colors. Powerful 325 watt motor. 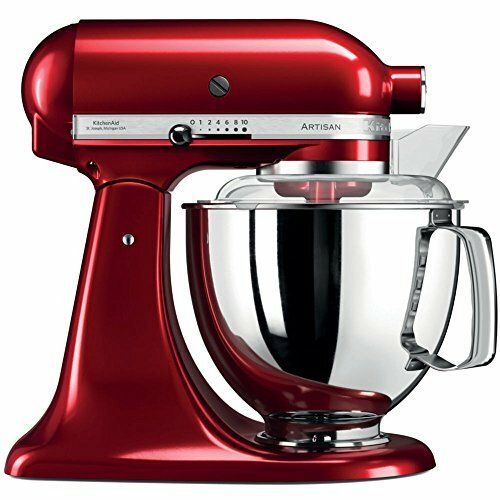 Legendary KitchenAid quality. Additional FLEX EDGE BEATER included: thoroughly scrapes ingredients into the bowl. The tilt-back mixer head allows for easy access to bowl and beaters.